Baoding transformer factory was funded in 1958 and now is known as Tianwei Group. Tianwei entered the solar panel and photovoltaic industry in 2001 and it is now able to offer its client around the world an extensive lineup of products, not only in the solar market, but also in the wind electricity production. 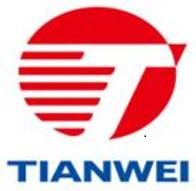 In fact, during these decades, a lot has changed and now the world is in demand of renewable and sustainable forms of energy, and this is why Tianwei has made this its core business. Thanks to a complete industrial production line, its solar energy solutions are mostly focused on crystalline silicon solar cells, polysilicon materials, thin film solar cells, and other photovoltaic modules, applications and services. One important aspect is that every Tianwei product is certified and approved by international standard organizations; Certifications like ISO9001, IEC, UL and CE ensure that the highest production standards are met. 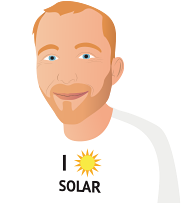 Their current solar solutions are able to produce several gigawatts of electricity, thanks to advanced polysilicon materials and crystalline silicon cells. In addition to this, more than 100 megawatts of electricity are produced by thin-film solar cells. If you want to find more about Baoding Tianwei solar panels and modules, browse the selection of products below or read our customer’s reviews.